Romelu Lukaku is claimed to reject the offer of Manchester United in the summer. The Sun said the 22-year-old player entered radar amid several top European clubs. PSG and Real Madrid are reportedly interested in securing his services in the next transfer window. United also had the same intention and they are ready to pay up to 50 million pounds, with the hope Lukaku can increase the explosive power of the team on the front lines. However, the Belgian player claimed to have different ideas, and he prefers to return to his former club, Chelsea, if they have to go from Everton in the future. 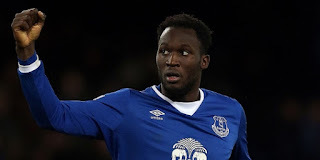 It is believed that Lukaku still curious with his career in the Blues, after he had failed to show the best action when defending the West London club. 0 Response to "Reject MU, Luka Ku Choose to Return to Chelsea"